MTV India had seen her talent and gave her important roles of at Award Functions and events which were televised all over the country, bringing her instant recognition. She also had a brush with modeling world and became a regular face of reputed fashion shows or advertisements. She was every advertiser’s dream girl and her popularity soared from strength to strength. There was a time when she was linked to John Abraham, but all that is past. Her item numbers and song and dance sequences like Chaiyya Chaiyya in the film Dil Se and Maahi Ve in Kaante were a big rage. But she has chosen to focus good part of her time and effort on TV anchoring and modeling, doing what she knows the best. Occasionally she comes up with surprises, like another item number: Kaal Dhamaal in the movie Kaal. She eventually got married to Arbaaz Khan whom she met while shooting for a coffee ad. 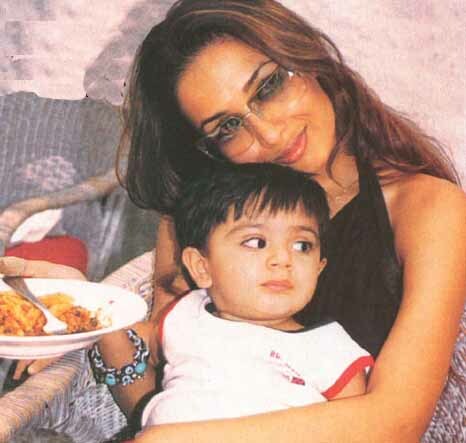 Her sister Amrita Arora has also done her stint as a VJ with MTV and now she is trying to leave a mark in Bollywood. Her brother-in-laws Salman and Sohail are successful Bollywood personalities. And her husband is never shy of praising her better half as he says, “She balances work, home and kid skillfully. And Amrita commented about Malika’s body, on much watched TV celebrity talk show ‘Koffee With Karan’, saying that there is hardly anyone she has known or seen – who have been able to maintain their body even after motherhood. (Kofee with Karan, 2005).